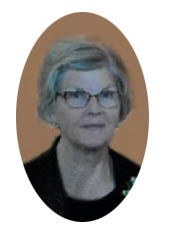 Karen Mae Schwalk, age 71, of Woodworth, ND, peacefully joined the Lord October 31, 2018, with her family at her side. Karen was born August 12, 1947, the daughter of Ronald and Marcella (Hoffart) Ames. In 1966, she was united in marriage to Ronald Schwalk. Together, they had two sons John (Jolene), Milnor and Richard (Lynn), Turtle Lake. Karen shared her passion and talents with many through her beautiful quilting, hanging dish towels, baby bibs and blankets, cooking and baking. She did her best to have everyone’s favorite foods when they stopped by to visit. Over the years she created thousands of beautiful pieces and sold them at craft sales. Karen was the proud Grandmother of Quinn Schwalk, Nina (Jordan) Hollingsworth, Maci Schwalk, Ethan (Chasley) Schwalk, Erin Schwalk and Great Grandmother of James, baby boy Hollingsworth and baby girl Schwalk. Karen was the older sister of Ken (Becky) Ames, Delores (Frances) House, Kathy (David) Edland, Paul (Margo) Ames, sister-in-law to Angie Ames, Rosie (Andy) Mack and numerous nieces and nephews. Karen was preceded in death by her parents, husband Ron, and brother Bill Ames. Memorials to Carrington Hospital Auxiliary or a charitable donation of your choice. Funeral Service: Tuesday, November 6, 2018 at 10:30AM in Woodworth ELC Lutheran Church, Woodworth, ND. Thinking of you all. Karen was a very dear and loved friend. She will be missed. Blessings to you all. Our thoughts and prayers are for Karen’s family and friends. I enjoyed a friendship with Karen over the last 20 years. She cherished her children and grandchildren and shared news of them whenever we got together. She shared her talents and skills to help others. Thinking of Karen makes my heart smile. Miss you my dear friend. Deepest sympathy and many thoughts and prayers to your family. Many memories with our families so close and being neighbors. I went through all 12 grades with Karen. I considered her to be one of my first and best childhood friends. We had many fun times together growing up in the Leal community. So many wonderful memories! She made the world a better place! My heartfelt sympathy & prayers to her family. Thoughts and prayers to the family of Karen. She will be missed by the many people she touched in her life.